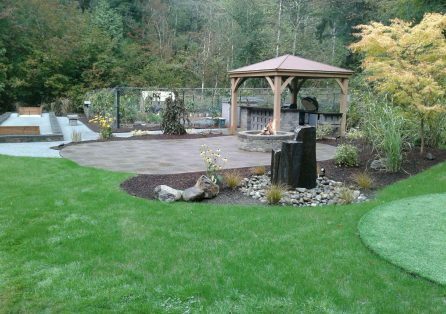 Welcome to Allscapes NW, an innovative landscaping and irrigation company in North Bend, Wa. Check our Gallery of previous work. Questions? Send us an email. My name is Frank Faoro, I began landscaping while still in High School over 30 years ago. I knew from the first time I started a mower and picked up a rake that I wanted to be a landscaper. I pursued a degree in horticulture and have been landscaping ever since. I have worked in both ends of the spectrum in this industry. From a two man operation with my still current business partner Bill Shortley to project superintendent for the largest landscaping company in the state. If you are thinking about a landscaping or irrigation project, installing a water feature or hardscape, or just need a yard cleanup and/or some maintenance give us a call! Allscapes NW is an innovative company that takes an entirely different approach to its work and customer service. Take your landscape to the next level. The Allscapes way. At Allscapes NW our number one priority is customer satisfaction. Allscapes NW specializes in creating native landscapes. 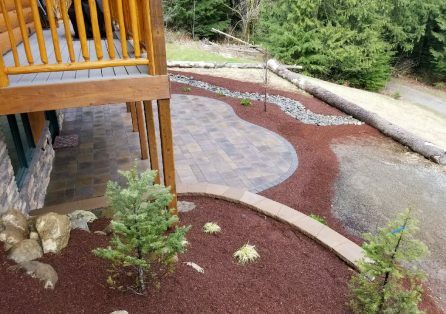 This allows for a landscaping that is drought tolerant, low maintenance, and blends in perfectly with the beautiful Pacific Northwest. Allscapes NW understands how much you value your home, and we take that seriously. Whether you’re looking to just renovate a small area, the whole yard, or dealing with a blank slate on a brand new construction site. Allscapes NW also provides many enhancements. 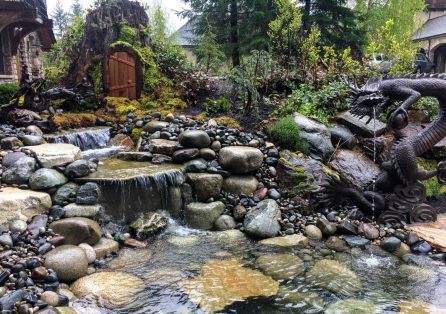 Water features are a great way to add that special touch that gets your home noticed. Hardscapes, such as flagstone patios, custom block walls, and pathways, can help you enjoy space in your yard you may not be utilizing. 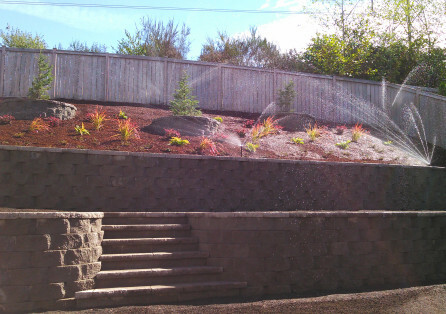 Allscapes NW can also help with your Irrigation or Maintenance needs. If you’re considering a landscape project of any type you owe it to yourself to give Allscapes NW a try. We will provide you with prompt personal customer service. Allscapes NW has customer service staff available 7 days a week. Allscapes NW also provides free estimates, and you will get that estimate within 48hrs. So give us a call today, or drop us an email and let Allscapes NW take your landscape to the next level. Proudly serving the Greater Eastside including: North Bend, Issaquah, Sammamish, Snoqualmie Ridge, Maple Valley, Bellevue, Redmond, Fall City, Carnation, and surrounding areas. © 2016 AllscapesNW - All rights reserved.